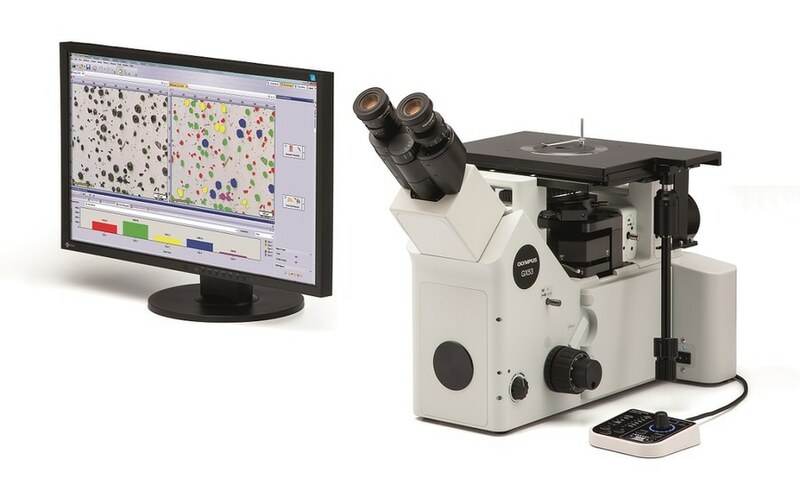 With the incorporation of MIX observation technology, first for the GX series, the GX53 microscope can obtain surface structure images with exceptional clarity. MIX technology produces unique observation images by combining darkfield with another observation method, such as brightfield, fluorescence or polarisation. MIX observation enables users to view samples that are difficult to see with conventional microscopes, making the invisible, visible. The circular LED illuminator used for darkfield observation has a directional function where one or more quadrants are illuminated at a given time. This reduces a sample’s halation and is useful for visualising its surface texture. 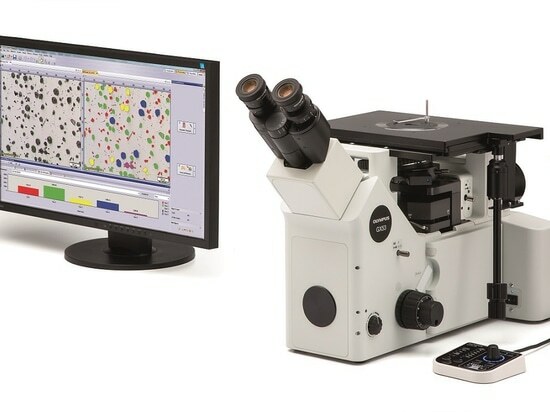 Meanwhile, the upgraded version of Olympus Stream image analysis software uses image synthesis to provide clear images with minimal halation, even when viewing highly reflective samples.